St George’s Cathedral Choir has long enjoyed the reputation of being one of the finest Cathedral Choirs in Australia. The Choir of St George’s Cathedral has become widely noted as much for the quality of its singing as the diversity of its repertoire. The primary function of the Choir is to sing at the choral services in the Cathedral, where music has traditionally occupied a position of much importance. The treble section has 20 choristers and there are 16 mixed voice Lay Clerks. Together they bring the rich heritage of sacred music stretching over some 500 years of Christian worship into our beautiful Cathedral, immeasurably contributing to the devotional atmosphere of its worship. Since the arrival of the highly acclaimed Dr Joseph Nolan as Organist and Master of the Choristers in March 2008, the standard of choral music at the Cathedral has risen even further. Soon after his arrival, Joseph founded the St George’s Cathedral Consort, a professional choir of up to 24 singers which sings at Evensong and in the absence of the Cathedral Choir. The Consort has sung to great critical acclaim, notably in The West Australian for its performances during the Cathedral Concert Series annually since 2009. Choral services at the Cathedral embrace music from many different styles and schools of composition, ranging from Byrd, Palestrina, and Victoria through to more recent masterpieces by Stravinsky, Jonathan Dove, Naji Hakim, Judith Weir, and Gabriel Jackson. 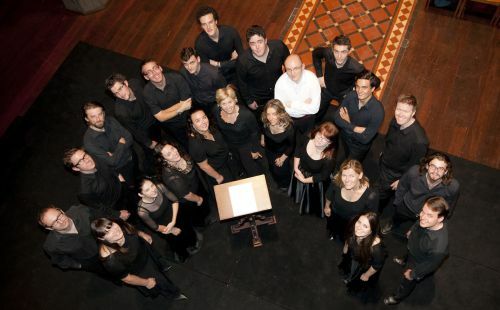 The Cathedral Choir also performs nationally and internationally, and enjoys working with other leading musicians, including collaborations with the West Australian Symphony Orchestra (WASO) at Perth Concert Hall which have been broadcast on ABC Classic FM, and performing in the WASO Lord of the Rings concerts. A CD In Paradisum, featuring Frank Martin’s Mass for Double Choir and Maurice Duruflé’s Requiem, has received highly favourable reviews. Christmas at St George’s Cathedral, a selection of popular Christmas carols, was released in September 2013, and the DVD Carols from St George’s Cathedral was launched in December 2013. The Choir has embraced opportunities to represent the Cathedral in other cities. They undertook a highly successful tour to France in 2008, singing live across Australia on ABC and Channel 9 Television for the first Dawn Service to be held at the Australian War Memorial at Villers-Bretonneux commemorating the Battle of Villers-Bretonneux, 24-25 April 1918. The Choir also gave recitals at Amiens Cathedral and St Sulpice, Paris. The recital at Amiens was recorded by Channel 9 and broadcast in part on Australian television. 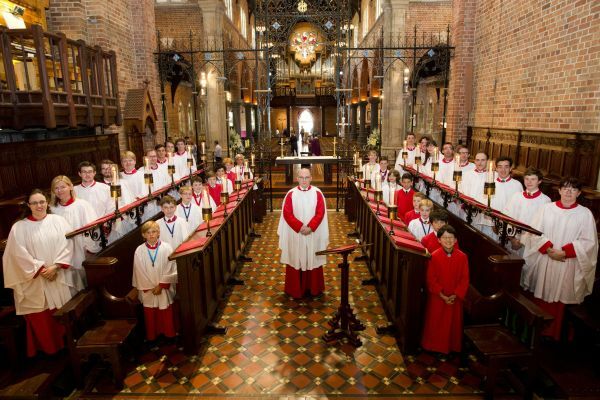 The Cathedral Choir appeared in a broadcast of the 2009 Festival of Lessons and Carols for Christmas on ABC TV and Radio, in 2011 on ABC Radio, and sang for ABC Sunday Live annually from 2009 to 2013. The Cathedral Consort has performed on numerous occasions for the Perth International Arts Festival, including Arvo Pärt’s Passio with The Hilliard Ensemble and WASO players; Haydn’s The Creation with the Academy of Ancient Music; Tallis And Striggio: Music in 40 Parts with I Fagiolini, at Perth Concert Hall; and Tenebrae et Lux: Carlo Gesualdo’s Tenebrae Responsoria. In 2016 the Consort sang Bach’s St John Passion, under the baton of WASO Principal Conductor Asher Fisch, at Perth Concert Hall. In 2015, the Cathedral choirs performed at a special Dedication Festival Eucharist in the presence of Their Royal Highnesses The Prince of Wales and The Duchess of Cornwall. The choirs have presented world premiere commissions by Carl Vine, James Ledger, Elena Kats-Chernin and Andrew Ford in the Cathedral’s carol services in 2015, 2016, 2017 and 2018 respectively. 2018 engagements include performing with The King’s Singers as part of their 50th Anniversary Tour, at Perth Concert Hall in February; ‘Rejoice!’, a concert of Renaissance and Baroque masterpieces with WASO at Perth Concert Hall in March: Wagner’s ‘Tristan und Isolde’ with WASO at Perth Concert Hall in August; and ‘Rachmaninov Vespers’ at the Cathedral in November. For enquiries about joining the professional choirs of the Cathedral, please contact Dr Joseph Nolan, Organist and Master of Choristers at the Cathedral Office.